Tell us more about yourself and your Handball career so far? 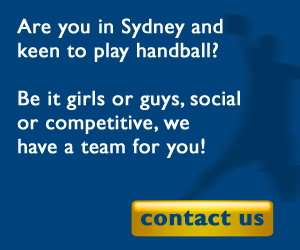 How did you get in touch with Sydney Uni Handball Club? I first contacted Sydney Uni HC as I was looking for an internship overseas to finish off my studies. I wanted to be part of an international environment and Sydney has always been on my list of places to visit. I’ve also always been attracted by Australia’s amazing landscapes and multicultural atmosphere. It was just the perfect opportunity for me to play handball and complete my university degree in one of the best capital cities in the world. Even if that meant leaving everything behind? Friends, family…? How did you feel about that? Well, to be honest I was a little bit scared at the idea of traveling half way around the world, but I love challenges and I had some savings aside. So I prepared the best I could and made my way downunder in January. After finding a place to live I’m now looking for a job and I’ll be settled. I’m really confident everything will work out perfectly! Handball is a pure amateur sport here in Australia with very limited financial resources. Did you consider this before making your decision? I knew that handball wasn’t very famous there and the first time I actually tried to explain what handball was to the host family I lived with, for the first couple of days, I tried really hard to explain with my own words and ended up telling them: well it’s Waterpolo…without water! But all in all, this is not a problem for me. Of course it’s quite surprising coming from Europe, to see that Handball is not a major sport here in Australia….but I’m cool with that. I just hope I can help grow the sport as much as I can. 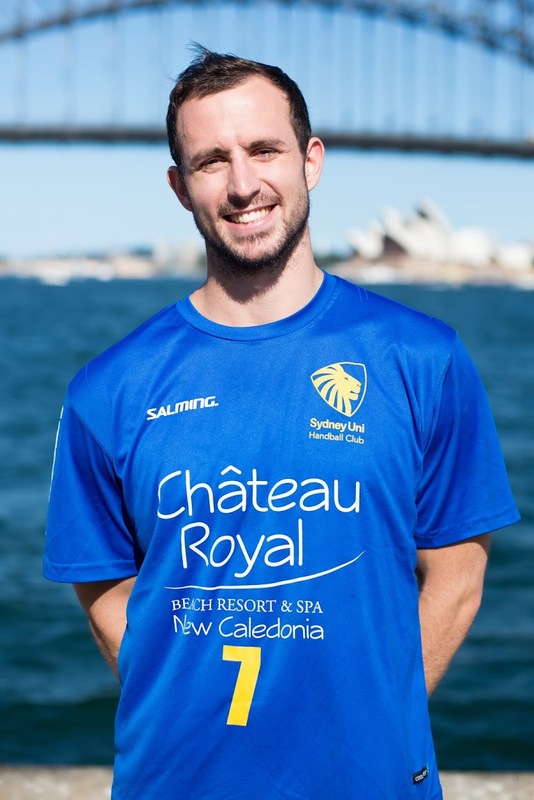 Sydney Uni HC is aiming to qualify for its 4th Super Globe in a row. 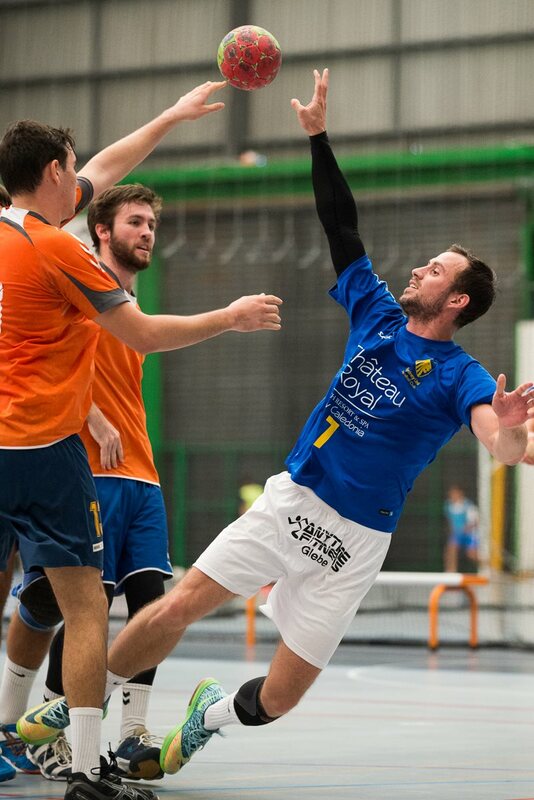 What would it mean for you to play against teams like FC Barcelona, THW Kiel or PSG Handball? It would be a great international experience to get the opportunity to play at the IHF Super Globe. It’s kind of funny to picture yourself playing against some of the best players in the world knowing that back in France this would just be impossible. This is Australian dream! Lets hope we can shake things up a bit if we qualify again, and try and bring home our first win in this tournament. I just wanted to thank Sydney Uni HC for welcoming me into the team and making me feel at home, 15,000km away from home! I think we’ll do a great job this season. Finally I also wanted to say Hi to my family and friends back home as well as my ex teammates in Nice! Thanks everyone for your support.